The documentary “Issei: The First Generation” is now available on DVD for both individuals and schools/institutions. Filmed in 1983, in and around Walnut Grove (Sacramento County), “Issei” was shown only twice in 1984 on local television. Buried in the vaults for 30 years, this unique film was produced by poet and filmmaker Toshi Washizu. With narration by actress Amy Hill and English subtitles, the film revolves around oral history interviews with Walnut Grove’s Issei, ranging in age from their 80s into their 100s, recounting their lives and experiences in their own words. With the help of UCLA’s Aratani Endowed Chair/Professor Lane Hirabayashi, Washizu has generated a newly restored, wide-screen, digital version of the film. 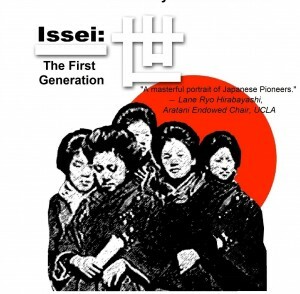 “Issei” is one of the few films that documents Japanese Americans in rural settings generally, and the San Joaquin Delta area specifically, making it a valuable contribution to the history of the first-generation Japanese experience before, during, and after World War II. Among the survivors of this remarkable generation who began the Japanese American tradition is 95-year-old Yasu Kawamura, who along with her husband settled in Walnut Grove, where the couple managed a barber shop; Kumajiro Murakami, 102, who tells of how he immigrated first to Hawaii, where he worked on a sugar plantation, and later to California to become one of the first pioneers of the strawberry industry in Watsonville; and Taka Washizu, 84 (no relation to the filmmaker), who tells of hardships before, during, and after the war, working with her sharecropper husband in Walnut Grove. Proceeds from sales of the DVD will go toward the making of a Japanese version. Individuals can order copies from Creative Space eStore, https://www.createspace.com/390128. Institutions can order from Center for Asian American Media, www.caamedia.org.